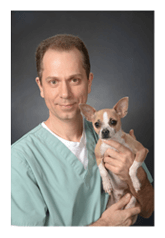 Dr. Phil Zeltzman is a traveling board-certified veterinary surgeon, serving eastern Pennsylvania and western New Jersey. Specializing in orthopedic, neurologic, cancer, and soft tissue surgeries for dogs, cats, and small exotics, Dr. Zeltzman offers the best surgical care, safest anesthesia, and utmost pain management to all his patients. Dr. Zeltzman has been involved in mobile surgery since 1997, traveling full time to clinics since 2010. This includes various pet rescue organizations. Dr. Zeltzman is a Diplomate of the American College of Veterinary Surgeons, a Certified Veterinary Journalist, and an award-winning writer. He considers himself a life-long student who is always looking for new ways to improve patient care and surgical techniques. For more information about the services he provides, please contact Dr. Zeltzman today. Cocker Spaniels: How to Be Your Dog's Best Friend: From understanding their personalities to dealing with health issues like ear infections and allergies.